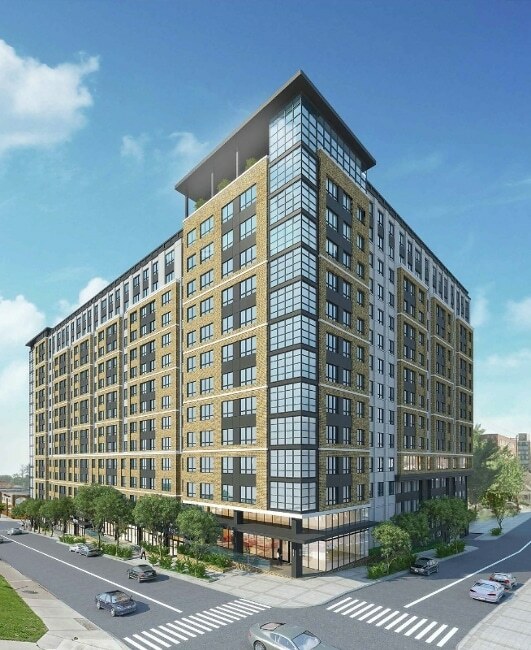 EdR, one of the nation's largest developers, owners and managers of high-quality collegiate housing communities, today announced that it has started construction on a student housing community adjacent to both the University of Pittsburgh (Pitt) and Carnegie Mellon University (CMU) with joint venture partner Park7 Group. The community, which will be owned 80 percent by EdR and 20 percent by Park7, will be developed by Park7 and managed by EdR upon completion in summer 2018. The $106 million development will be built on what is currently a parking lot one block north of both the Pitt and CMU campuses. It will consist of 723 beds in studio, one-, two- and three-bedroom configurations featuring in-unit washer/dryers, granite countertops and robust internet and Wi-Fi throughout the building. The building will also feature 381 structured parking spaces and 10,000 square feet of retail space. "The University of Pittsburgh's expanding enrollment rate and academic reputation make it an ideal fit for the EdR portfolio," said Randy Churchey, EdR chief executive officer. "This community will also fill a housing void on that end of campus, which will make it a win for the students and the university as well." With a 2015 enrollment of nearly 29,000, the University of Pittsburgh is regularly rated as a top tier U.S. public research university and ranked as the No. 24 public university in the country in U.S. News and World Report's 2016 rankings. Carnegie Mellon University boasts 19 Nobel Prize laureates among its faculty and alumni. It has a total enrollment of 13,650 students and was ranked 23rd nationally in U.S. News and World Report's latest rankings. "Three years in the making, this urban high-rise is the largest and certainly one of the most important properties in Park7's bourgeoning pipeline of developments," said Ron Gatehouse, president and chief executive officer of Park7. "Having grown up near Pittsburgh and watched it flourish in recent years, I've been wanting to do something near these schools for a long time."